Starting a new career is a big step. The research and planning needed to ensure that you’re making the right decision can be a full-time job in and of itself. 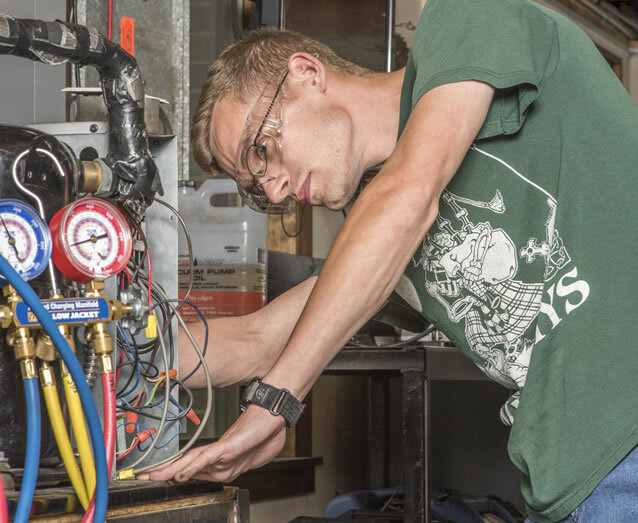 If you’re looking to begin your career as an HVAC/R Technician, we have some tips that can help you know what to look for in a program to be best prepared for work the day you graduate. We find that many folks already employed in the field are excellent at troubleshooting, but troubleshooting can only get you so far. It’s vitally important to understand how systems work and the relationships between the various components. A troubleshooting mentality is about trial and error, but when you truly understand how the systems work, you can get to the root of the problem. For example, the number one thing we hear from employers is that they appreciate that our graduates have a complete understanding of the refrigeration cycle. By learning the entire cycle, our students know how to provide real solutions, not “band-aid” solutions. Ask yourself: do you want to learn just enough to get by? Or, do you want to be a true HVAC/R expert? Why are our graduates so well-prepared? 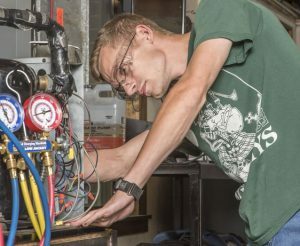 To true be ready for an HVAC/R career, we believe that hands-on training is the cornerstone of your education. Many programs—while offering shorter hours to completion—skip the critical hands-on portion. Watching someone bleed a gas line isn’t the same as doing it yourself. In our program, you’ll use the actual tools that you’ll use on the job. A shorter program will get you into the workforce sooner, but you won’t have all the skills you need to start day one. Book knowledge can only get you so far. And, let’s be honest, you’re likely interested in a career in HVAC/R because you’re good at working with your hands. Be certain that any training program you’re researching has a full hands-on component. In order to be able to work immediately in the HVAC/R field, you need to have the proper certifications. Earning those certifications is a two-step process: a written test and a skills assessment. Our program provides you with the opportunity for both. When looking for a program, be sure to ask if both portions of the certification process are part of the training. Without the proper certifications, you won’t be fully ready to be hired upon graduation. We make certain that you’re ready to go. In fact, employers schedule their hiring around our graduation dates. 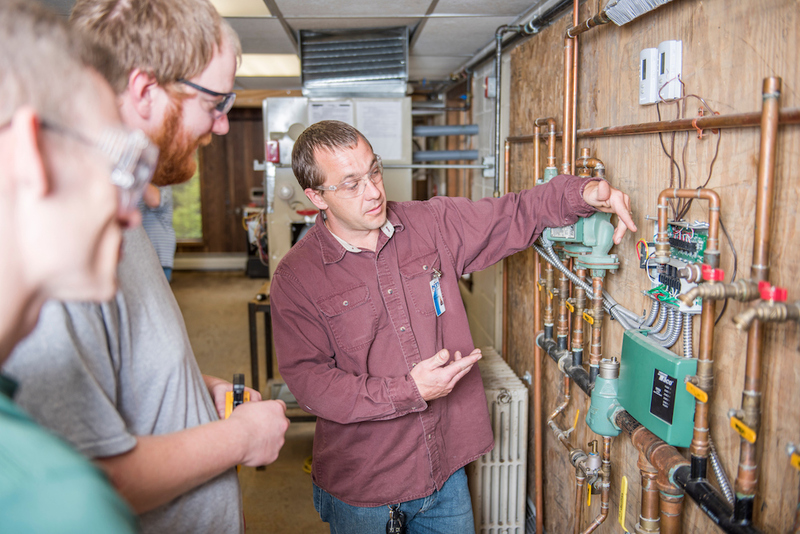 We believe that our HVAC/R program gives you all the necessary skills to be one-the-job ready the first day at your new company. And, we recommend that you look for those three points as you consider your options. Be certain to visit our Program page for complete details. More questions? Email us or call 207-805-8000.